Aloha – Need some Hurricane Iselle shelter options? | Where is @rusnivek? Aloha – Need some Hurricane Iselle shelter options? 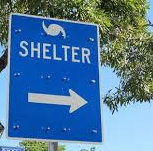 Here is a free easy read shelter map for Oahu. 1. Find the shelter location nearest to you. 2. Have a plan and several routes planned out on how to get there during heavy traffic. 3. Ready your emergency preparedness kit w/ medications, flashlights, Family Communications plan, and supplies. This entry was posted in Uncategorized and tagged akamai, Communications, easy, evacuation, flashlight, free, Iselle, julio, location, map, medications, oahu, peeps, pet, plan, planned, read, road, route, routes, Shelter, supplies, traffic by rusnivek. Bookmark the permalink.